Be prepared for the unexpected. 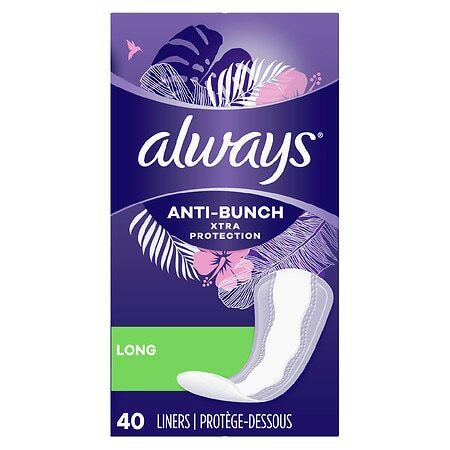 Get feel clean protection with Always Dri-Liners Long Unscented Pantiliners. They are ideal for slight urine loss, light flow days, tampon backup, and more.